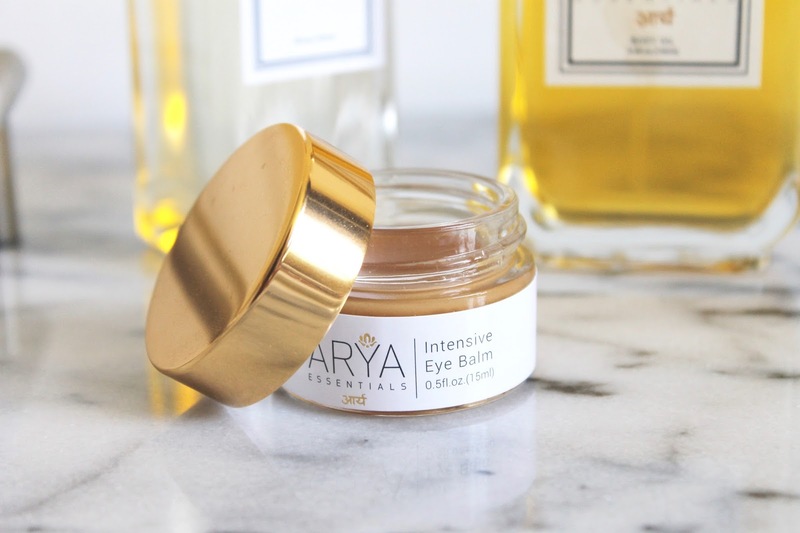 Arya Essentials is an all-natural luxury skincare line that draws inspiration from the ancient practices and beauty rituals of Ayurveda. I have become more ingredient conscious over time and this new line combines luxury with real results and a beautiful philosophy. 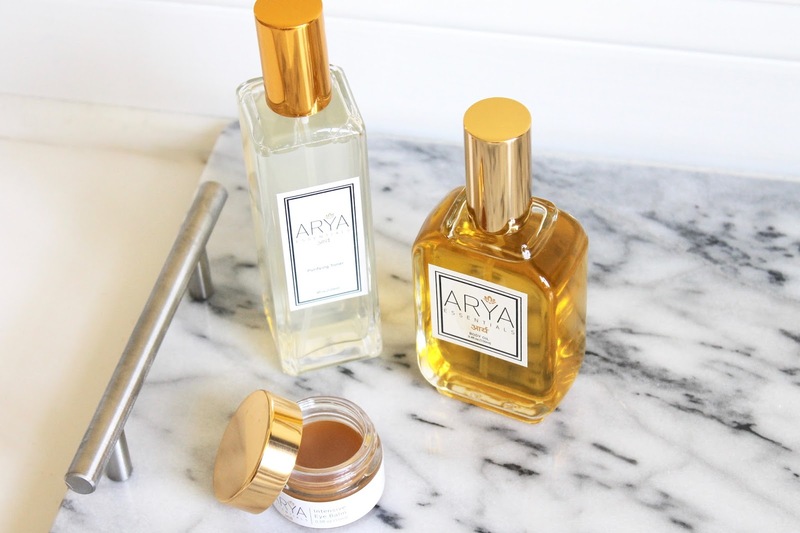 In Sanskrit, Arya means noble, precious, and pure - and it's safe to say the brand delivers on these principles. "Our collection does not contain any parabens, GMOs, sulfates, mineral oils, synthetic dyes, artificial fragrances, gluten or fillers. We carefully select organic, wild-crafted, and bio-dynamic ingredients from sustainable sources." Intensive Eye Balm - To me, this is such a standout and unique product in my routine. 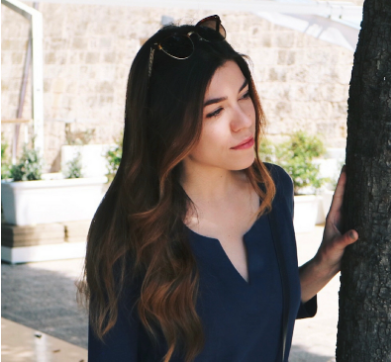 It has such an amazing velvety, balm-like texture that is ultra-hydrating yet non-greasy. It's a great eye product to use at night - expect to wake up with brighter, softer, more plumped skin around the eyes, thanks to the inclusion of antioxidants and effective botanicals. Purifying Toner - Toner mist is a no-miss step in my cleansing routine, and this one has quickly risen to the top of the ranks. It contains Rose, Cucumber, and Tulsi to purify and balance the skin by moisturizing, brightening, and decongesting pores respectively. It smells amazing and I love how fine the mist is on the skin - it's one of those products that you can feel working right away and it really helps to refresh makeup throughout the day as well. Body Oil - I have come to love body oils as a way of achieving an overall glow and, of course, moisture. They truly deliver skin softening results, but what I look for is an oil that can give glow, fast absorbing moisture, and provide intensely nourishing ingredients. 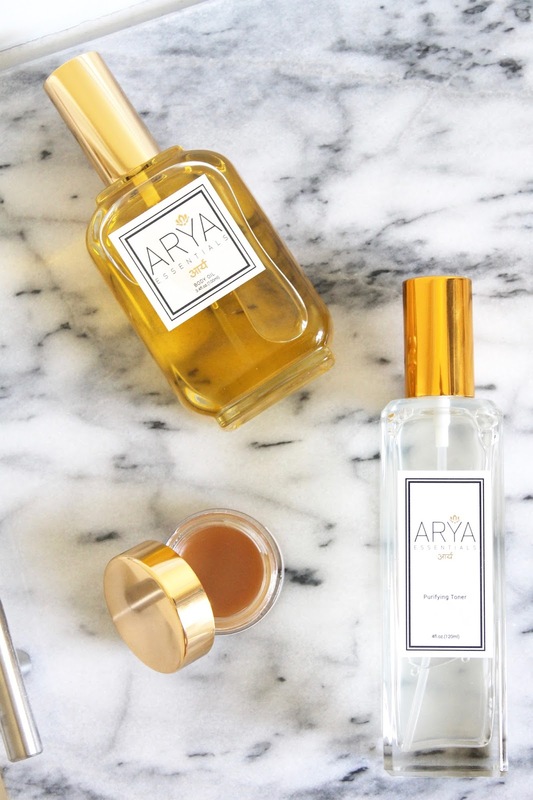 Arya Essentials' Body Oil is made up of an essential oil and herb blend that helps to calm the skin, balance, soothe and moisturize. It also contains some of the most luxurious oils out there; Neroli, Rosehip Seed, and Brahmi delay aging, regenerate cells, and help boost collagen production, while Coconut and Sesame oils deeply moisturize and help create the overall glowing effect we so badly want during the summer months. The scent is also deliciously light, yet therapeutic and layers so perfectly with other perfumes and lotions.